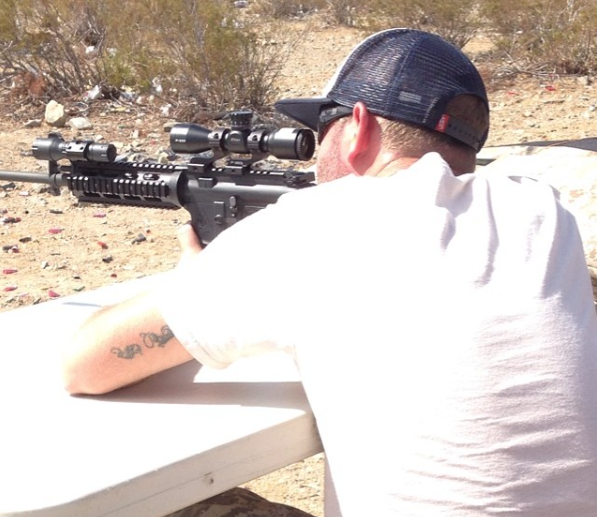 It's no secret that a good optic will dramatically increase your accuracy. The problem is, good glass is not cheap. Nikon recently introduced their P-223 line and we had an opportunity to give it a test run. We are impressed to say the least. This is great glass at a great price. 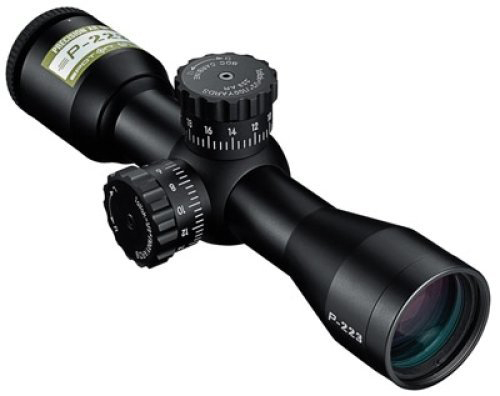 The Nikon P-223 Rifle Scope comes in a few different variants. The P-223 3-9x40 Matte BDC 600 Rifle Scope, P-223 4-12x40 Matte BDC 600, P-223 1.5-4.5x20 BDC 600 and also P-223 3x32 Matte BDC Carbine. They are also available with the BDC for other calibers, such as 300 Blackout, and also .308 Winchester. They are designed specifically for AR rifles. Today we will review the P-223 3x32 Matte BDC Carbine. For our review, we also used the Nikon P-Series Rifle Scope Picatinny Mount as it was design specifically for this optic. They are sold seperately but worth every penny. After mounting and focusing the optic, the first thing that struck me was the clarity of the glass. For a $150 dollar scope, the clarity was excellent and better than other optics costing twice that amount. The Fully Multi-coated Optical System-Provides up to 98-Percent light transmission and maximum brightness from dawn to dusk. The scope is also Waterproof/Fogproof Nitrogen filled and O-ring sealed. We soaked ours at the bottom of my swimming pool for a week after the review. Yep, it's waterproof. Right out of the box, our scope was pretty close to dead on. I am sure using the Nikon Mounts had much to do with this. A few clicks and about 10 rounds later we were in business. We Zeroed ours at 200 yards as that is what Nikon recommends. The BDC Carbine Reticle was developed specifically for the trajectory of the .223 Rem/5.56 NATO round with 55-grain polymer tip bullet. 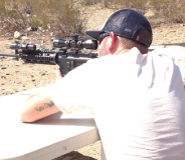 The reticle provides a 200 yard cross-hair with "hash marks" at 400 yards and 600 yards. A really nice feature about this scope are the 1/2-MOA Hand-turn Zero-Reset Turrets. To simplify field adjustments, Nikon has integrated this feature into all new rifle scopes. Just sight-in as usual, then lift the spring-loaded adjustment knob, rotate to your “zero”, and re-engage. Field adjustments are now as simple as dialing-in your subsequent ranges. This is also a nice feature if you choose to use the scope on different rifle. Once mounted to the secondary rifle, you can make adjustments and simply write the new numbers down. This will save you the time of having to sight that rifle next time. Now when you move it back to the primary rifle, you just move the turrets back to Zero and viola! While everything was great so far, the true test would be in the performance and accuracy. The clarity and light transmission is so good, that getting on target is swift and easy. We started with a metal plate at 200 yards. I believe it was a 16 or 18" plate. This was a fairy easy for everyone, and the fixed 3X zoom made quick work of it. Anxious to try out the BDC reticle, (Bullet Drop Compensator) we moved out to 400 yards, which would be the first "Hash mark" in the reticle. 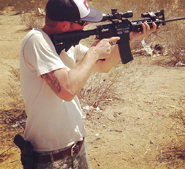 For me, as long as I could hold the rifle steady enough, I could ring the plate. Yes, it actually was accurate, at least more accurate then I. Next opted for the 600 yard target without any adjustment to the turrets. Now this is where the table and sandbag come in handy. At this distance you are really pushing it for the 3X optic for a target so small. While I was only able to hit the target about 6 out of 20 times, Andy was able to hit it about 15 out of 20. I really have no excuse for this, as Andy wears contacts, and my eyes are 20/20. Or so I thought. Cynthia was also skilled enough to ring the plate more often than I. How any more times, I won't say, let's just leave it at that. After a day with the optic, and over 600 rounds, we never had to re-zero the optic. 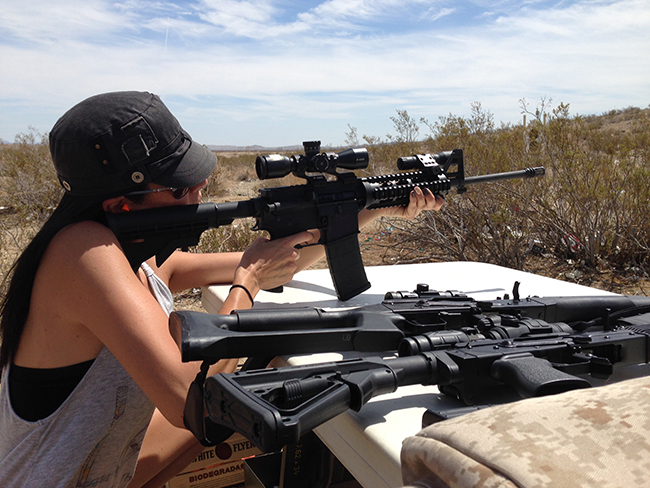 The mounts held securely and the recoil had no affect on the accuracy. Needless to say, we were all impressed with this scope. I am still in disbelief considering the quality you actually get for the price you pay. The fit and finish are top notch. You would be hard pressed to find a better optic at twice the price. I don't even think that is possible, or at least I can't think of any of the top of my head. I do highly recommend using the Nikon P Series mounts. They to are superb, and very budget friendly. Many are not aware of how important Scope mounts are. A cheap set of mounts can make an $800 optic perform like $12 Wally World special. So do yourself a favor and get them as well. If you haven't figured it out by now, I am extremely pleased. I could go on and on about how I adore this optic. The fixed 3X magnification is very usable. It is a great balance that will stretch your reach yet also allow quick target acquisition for targets inside 25 yards. While not as fast as a Red Dot, it can be damn close with a bit of practice. After the review, I actually purchased one for myself. I leave the P-223 - 3X32 optic permanently mounted to one of our AR-15 Rifles and I have no plans of replacing it. have you used this optic? share your experience.